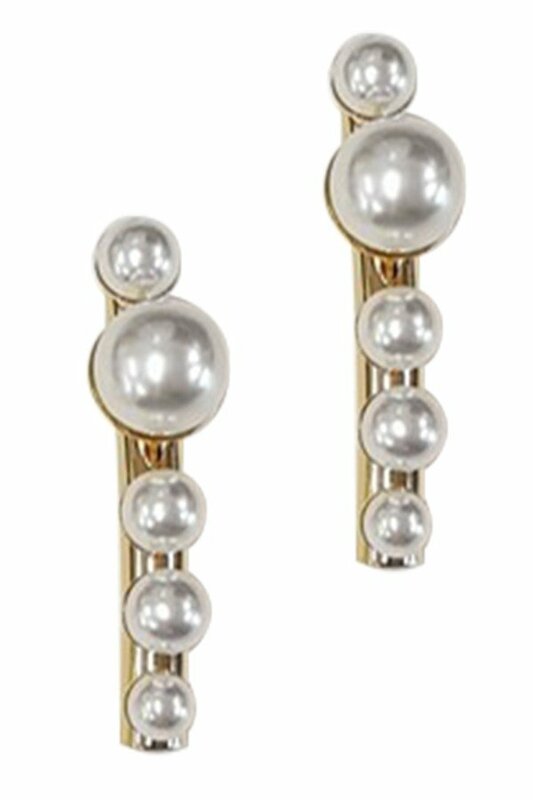 Description: Bar earrings with a line of pearls. Post back. Approx. length 1.5".